“Erection of third floor extension to provide additional B1 floorspace with roof terrace; erection of two storey rear extension to form rear staircase, new shopfront; new windows; doors; railings; new bike store and external alterations”. 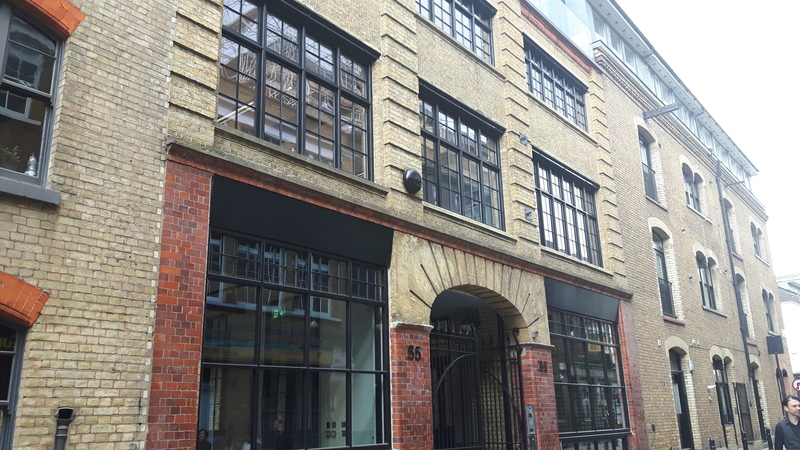 The office building is located just off Curtain Road in Shoreditch, located within the South Shoreditch Conservation Area and identified as a building of townscape merit. Design considerations were therefore key in application determination as was residential amenity given the tight knit urban nature of Shoreditch and the presence of nearby residential dwellings. There was no S106 legal agreement attached to the permission.